A team of 24 colleagues from the Intermediary team and Head Office branch supported the Leeds Rhinos Children’s Day at Headingley Carnegie Stadium. “We hosted our own stand which included a young savers prize draw, a ‘name the bear’ competition and a ‘selfie’ competition. 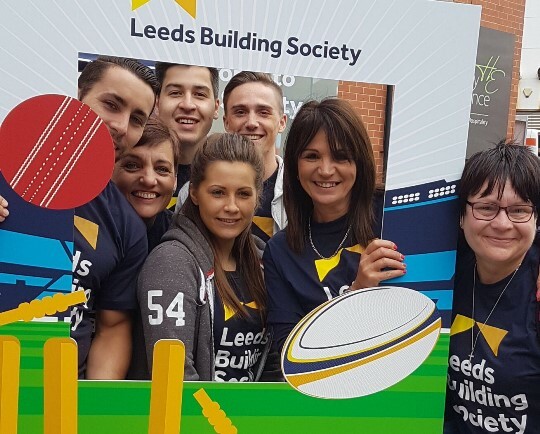 Bob Bowman, chief operating officer at Leeds Rhinos Foundation, said: ‘It was wonderful to see such a large volunteering presence from our partners at Leeds Building Society.